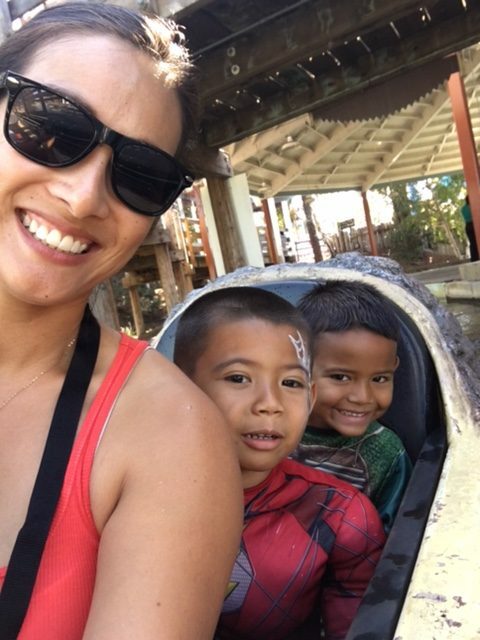 I don’t even know where to start, but I will say that if you’re a Bay Area parent and you want to celebrate the “Halloween” season with your kids… GREAT AMERICA should be at the top of your list! 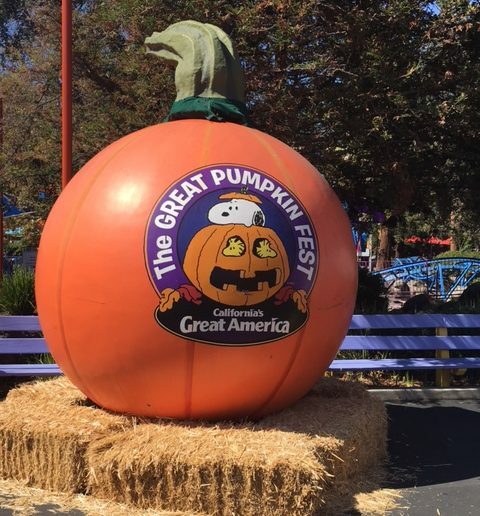 We had an amazing weekend and it all kicked off with the Great Pumpkin Fest at Great America, where every weekend from now til the end of October, the park, (from noon -4pm) will be extra fun-filled with its Great Pumpkin Fest event…and it’s all included with admission. The park is open from 10am-5:30pm for daytime excitement. 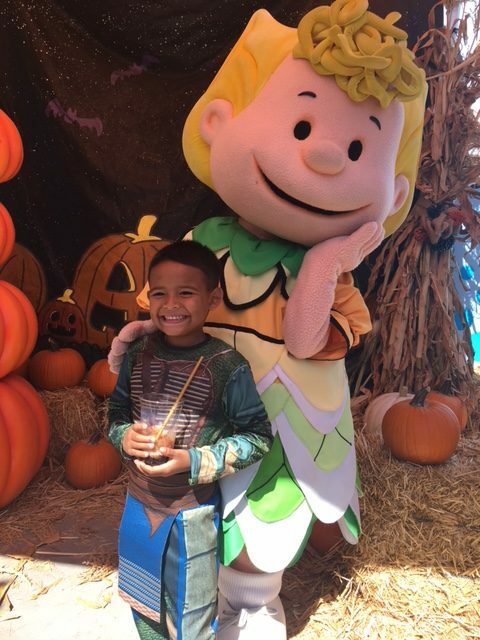 The Great Pumpkin Fest is a non-scary daytime event for everyone in the family to enjoy, including even your youngest boo-thangs! And- yes, they still have their night time “grown up” very scary “Halloween Haunt” event too! All activites take place in Planet Snoopy alongside all the mainstay rides and attractions that you’re used to seeing at Great America. 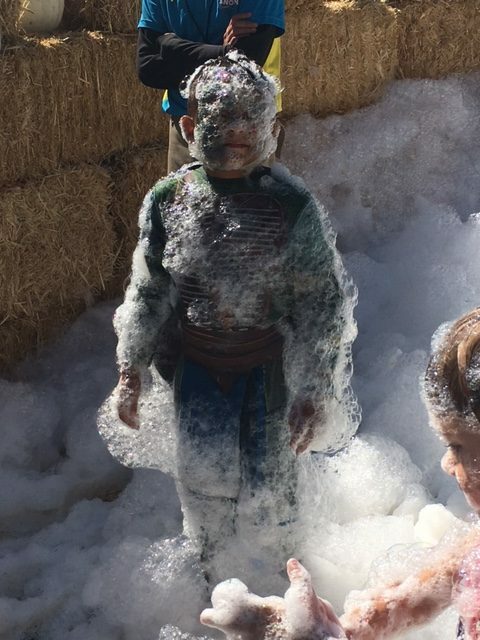 Children 12 and under are also encouraged to wear a costume (masks are not allowed). Snoopy, Lucy, Charlie Brown, Sally, etc.. the whole gang is dressed (in costume) for the occasion, and for parent’s that means LOTS of photo opps! 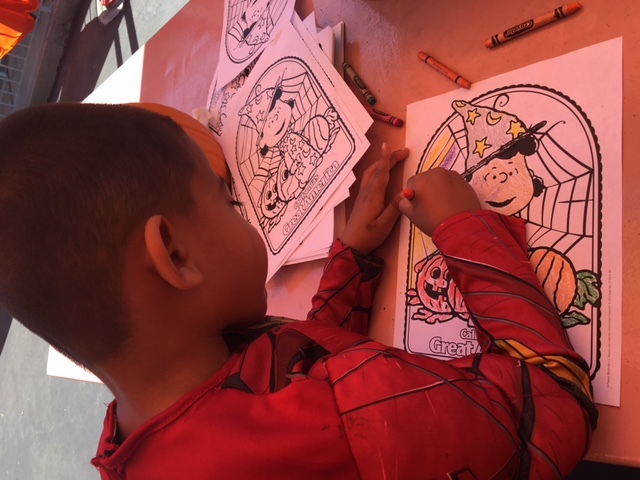 Now while my older son jumped head first into the bubbling foam dance pit, my younger son opted to take advantage of the coloring station. 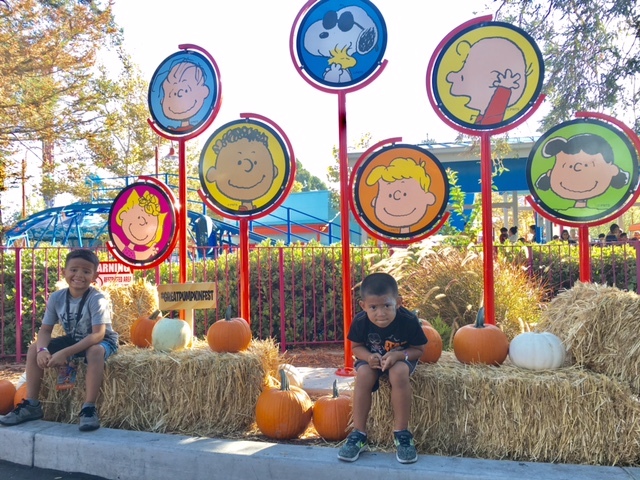 Other activities include a hay maze and a TV screening area where guests can take a break and relax while watching, “It’s the Great Pumpkin, Charlie Brown”…book readings of the PEANUTS tale also go on in Planet Snoopy. 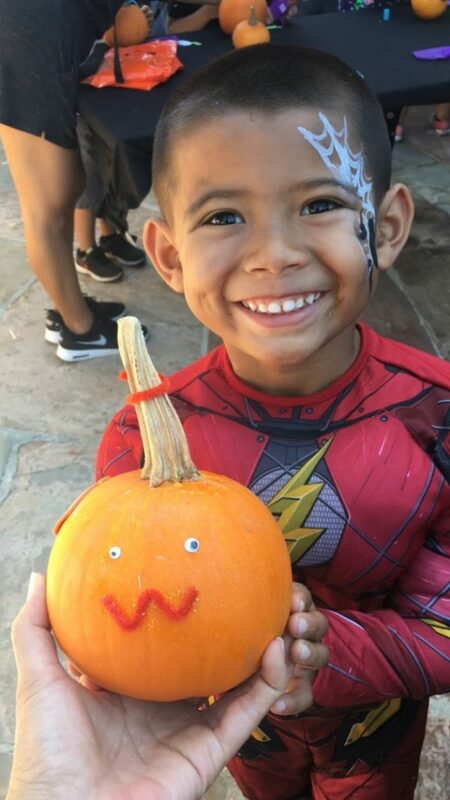 One activity you definitely want to take advantage of is the mini-pumpkin decorating. 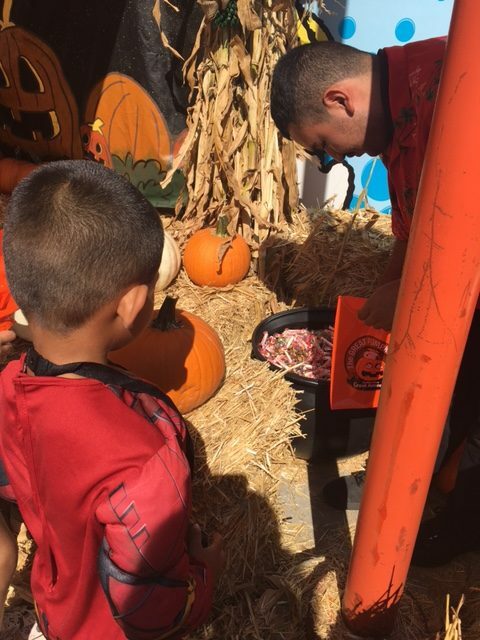 Kids can select their own complimentary mini-pumpkin from the patch and they receive a decorating kit to make it their own and take home! 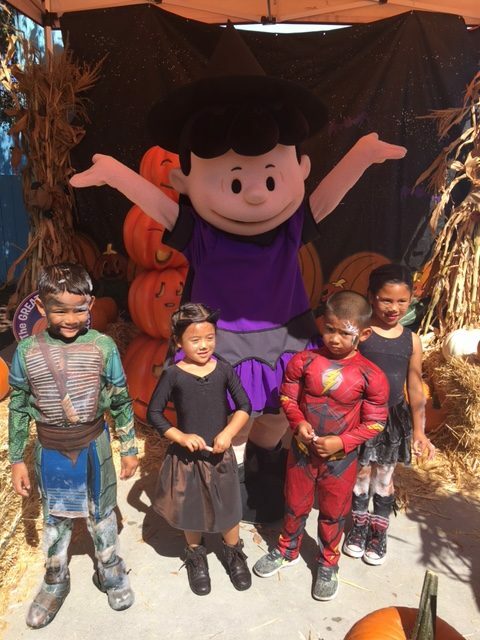 The PEANUTS gang also puts on a musical performance tailored to the Halloween theme… a PEANUTS “Spooktacular.” **Heads up..they’re on the lookout for the best kid costumes in the crowd. 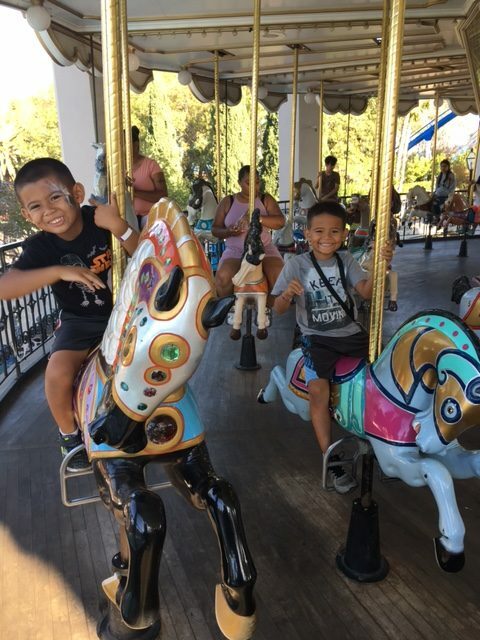 But maybe what I loved most about our awesome day at Great America’s Great Pumpkin Fest was that while we were able to celebrate the season, we also got to enjoy all the staple rides at the park, like the double-decker carousel and Loggers Run. The lines were short and the weather was perfect. This event gave us the opportunity to “kill many birds” with one visit! 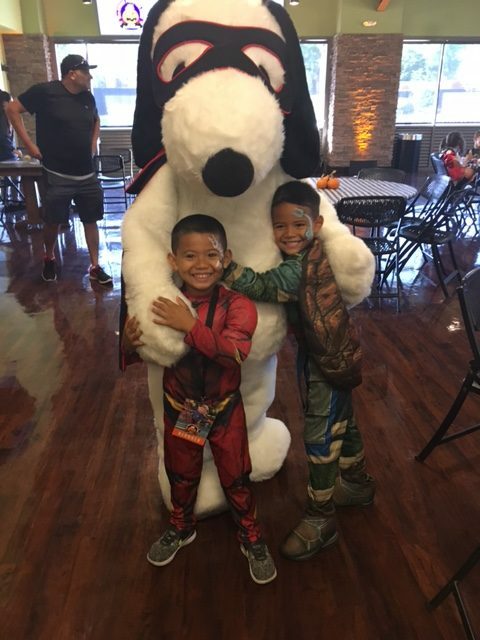 From costume contests, to trick or treating, character visits, a dance party, hay maze, pumpkin patch and amusement park rides…it was certainly a GREAT day to remember!